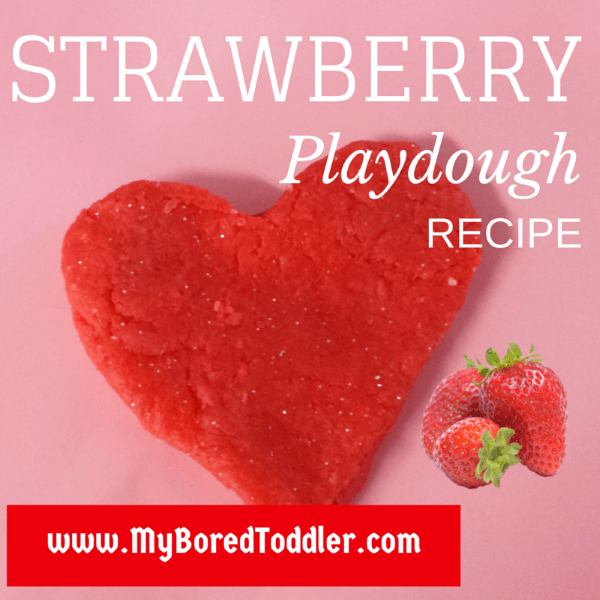 If you’re looking for a Valentine’s day toddler craft activity, this recipe for strawberry scented playdough is a great one. Not only is it a great activity for fine motor skills, adding the scent also adds another level to the sensory play. It’s also really really easy! To make this we just added a few drops of strawberry essence (available from most supermarkets for less than $2) to our Microwave Playdough Recipe. 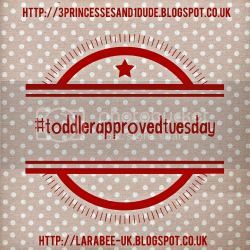 I have seen some scented playdough recipes that use shampoo and other non edible items to make, but this one is completely safe for toddlers and babies (it doesn’t taste great but it won’t hurt them!). You can find our playdough recipe here. Just remember to add the strawberry essence at step 1 along with a few drops of red food coloring. Each brand of strawberry essence is a little different so add enough so that you can easily smell it. Add a bit of glitter for some extra sparkle! I love this idea! Also loving the name of your blog. What genius! Ooooh this looks good enough to eat! I really must look out for some fragrance oils to use in play dough.